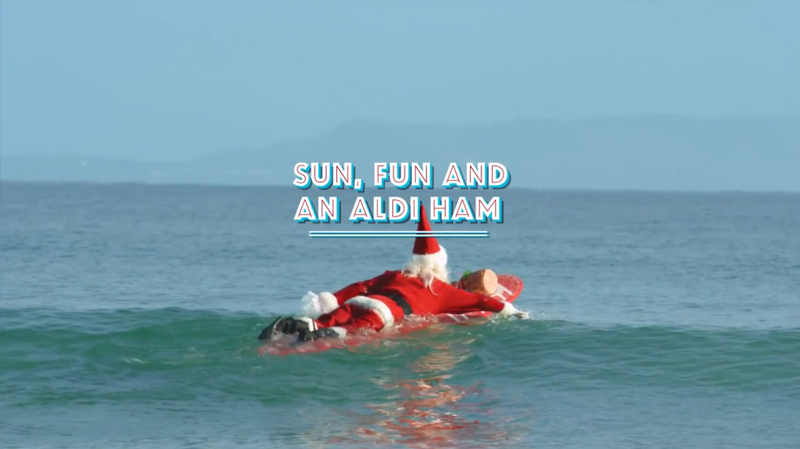 ALDI in Australia is running the “Perfect Aussie Christmas”, an integrated advertising campaign dispensing with the usual White Christmas cliche, championing the ways Australians celebrate Christmas in summer. 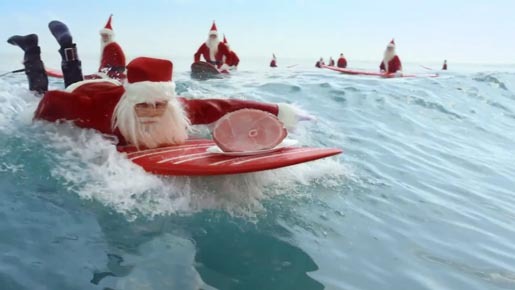 Instead of Santa appearing in the snow, Santa and family appear on the beach, in the surf, in the back yard. 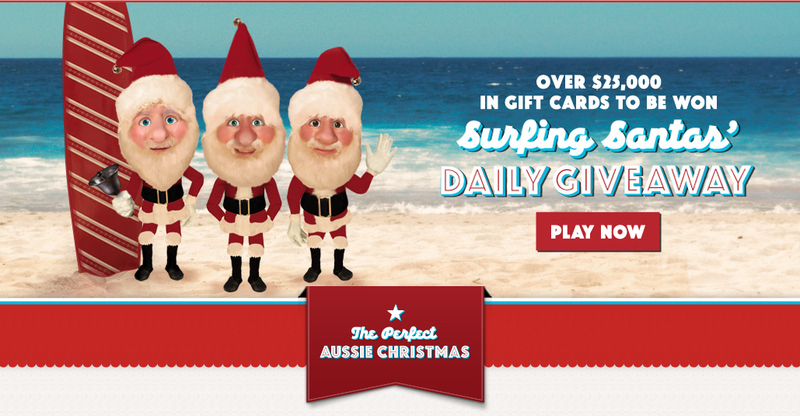 A microsite, perfectaussiechristmas.com.au, includes an Advent calendar, videos and a Guess the Santa competition. 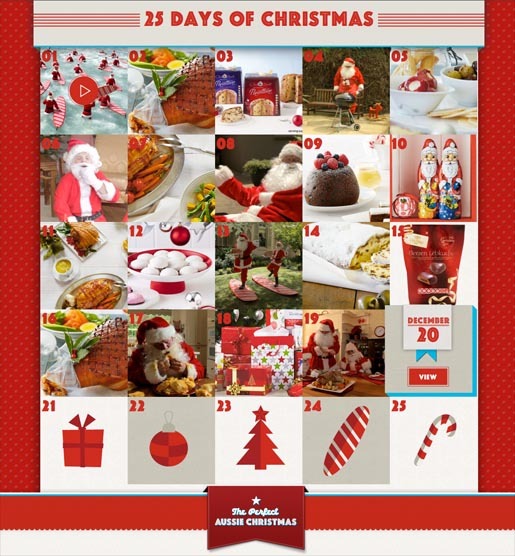 The campaign also includes television, outdoor, radio, catalogue, digital, print and point of sale extensions on the theme. Surfing is a pretty big tradition in the Santa family. It’s passed down from generation to generation. Shame Mrs. Claus doesn’t see it that way in “Surfing Lesson”. With Mrs. Claus in charge the dishes are always done, the house always clean, and the kids in line. Except for when Mr. Claus comes along in “The Evidence”. Smell a rat! And so does Mrs. Claus. A simple picnic spread turns into a feast, a little earlier than expected in the Mousetrap episode. It’s a sunny afternoon in the Santa family front yard. The kids and Mr. Claus are playing cricket, but the game doesn’t go quite as planned in “The Blame” video. It’s usually Mrs. Claus job to stuff the turkey. 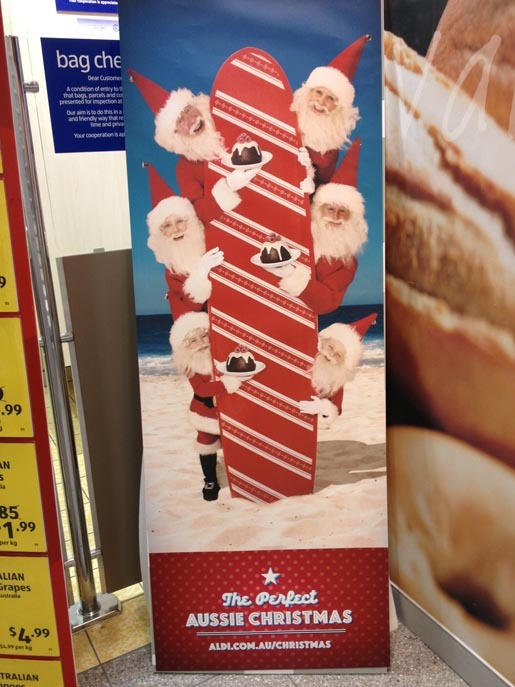 But this year, Mr. Claus has decided to give her a break. What could possibly go wrong in the “Stuffing Time” video. The Perfect Aussie Christmas campaign was developed at BMF, Sydney, by executive creative directors Carlos Alija and Laura Sampedro, managing partner Stephen McArdle, creative team Katie Moore, Janet Szabados, Piero Ruzzene and Flavio Fonseca, producer Adrian Shapiro, head of art Sian Binder, agency producer Jenny Lee-Archer, planner Alison Tilling, interaction lead Nev Fordyce, digital designer Matthew Hughes, digital architect Tim Hill, account executive Jodie Lenne, group account director Samuel Viney, account director Aisling Salmaggi, catalogue lead Jessica Byrnes, retail creative team Pauline Gooding, Sophia Coghlan and Gabrielle Teasdell, print producer Deborah Meighan, art buyer Sarah Thompson and photographer Brock Elbank. Filming was shot by The Glue Society director James Dive via Revolver with executive producer Michael Ritchie, director of photography Tim Tregoning. Editor was Dan Lee at The Editors. Colourist was Christine Trodd. Sound and music were produced at Sonar Music. Production designer was Aaron Crothers.